Three years ago today, on the 4th Super Blood Moon eclipse of the tetrad, this chapter (copied below) was published as a post on the FaceBook group I founded, One United Nation for the Great Earth Peace, and was found by Kelly Lapseritis, who decided with her husband Kewaunee to turn this message into a book. Looking back, after three international conferences and three books later in the series, that have reached far and fast and connected many seekers and experiencers in a worldwide network, with Book 3 recently published in collaboration by a collective of 10 Sasquatch channelers, we gratefully give thanks for the amazing learning and healing journey our beloved wise Elders have been guiding us on, along this sacred blessed path. As the interest is growing and the reception of our Elders’ messages is widening, we will put up on October 13th 2018 the 2nd BC Psychic Sasquatch Spiritual Gathering, a day event in the Slocan Valley of British Colombia, where Kewaunee and Kelly will present, as well as SunBôw. We will come together to share our experiences and understanding. 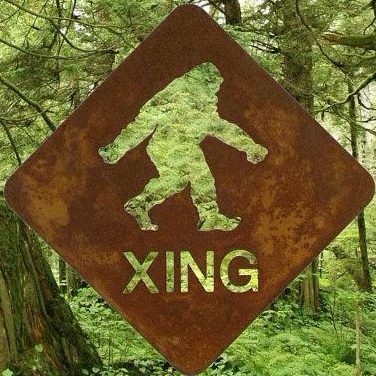 This is so far the only international extension of the Psychic Sasquatch Spiritual Retreat formerly called the Spiritual and Psychic Sasquatch Conference and Event, held the last three years in September, in Chewelah, WA. We wish to continue sharing the wisdom and knowledge received from our Elders to the best of our abilities and availability, serving the best interest of all life, helping with our share to the collective consciousness. Thanks to all our relatives, allies and Family of friends who have shown interest and offered support in many ways, contributing in sharing the messages delivered by our Elders and the truthful wisdom they teach. We would like to remind you to keep submitting your articles and stories and send donations. All links are on our home page. Thanks to our Elders and guides who provide us with their blessings, inspiration, teachings, guidance and protection, helping us on our walk. Thanks to Great Spirit who has gifted us with this wonderful journey. May we all walk in Peace and sacredness on our Mother Earth, as good relatives to all living beings. May we leave good tracks and examples after our passage, as respecting ancestors, for the future generations.